NINA RICCI is the epitome of femininity, elegance and chic. The fashion house of Nina Ricci was founded in 1932 by the French fashion designer Maria Ricci and her son Robert. Nina Ricci is crafting one of the most glamorous and elegant fashion collections, unique and legendary perfumes. 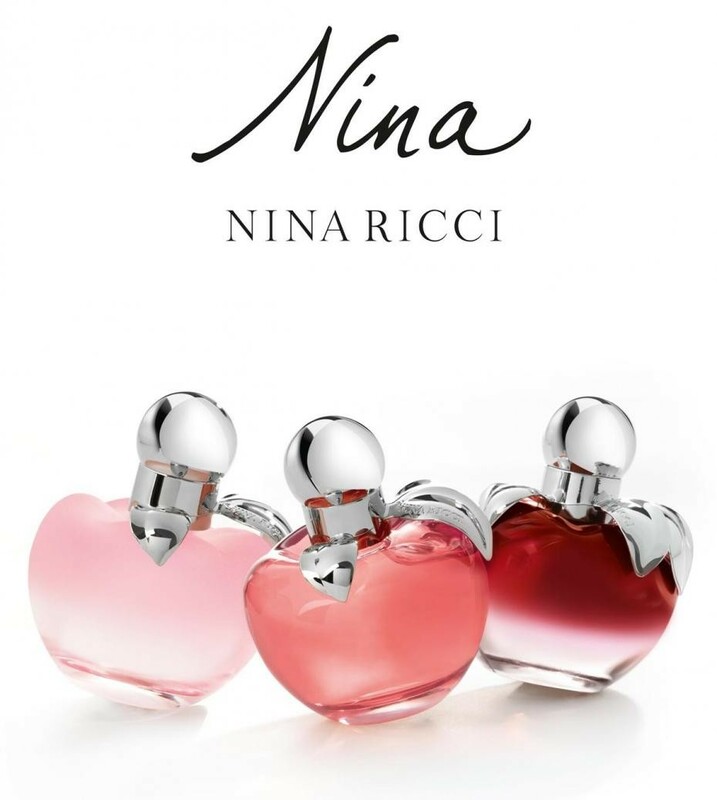 Nina Ricci fragrances represent the modern woman by combining the femininity and elegance in stylish bottles. Most outstanding Nina Ricci Women Perfumes include Nina Ricci L’AIR DU TEMPS Perfume for Women, Belle de Minuit, Cherry Fantasy, Love in Paris, Nina Ricci Le Paradis de Nina,Premier Jour by Nina Ricci, Ricci Ricci by Nina Ricci, L’Air by Nina Ricci (2011), flirty fragrance Ricci Ricci Dancing Ribbon by Nina Ricci (2011), Ricci Ricci Reflets Mysterieux by Nina Ricci and Nina Ricci Nina Fantasy (2012), Nina Ricci Mademoiselle Ricci (2012), Nina Ricci Nina Princesse d’un Jour (2012), Nina Ricci La Tentation de Nina (2013). Most famous Nina Ricci colognes for men are Ricci Club COLOGNE BY NINA RICCI, Memoire D’homme cologne by Nina Ricci.